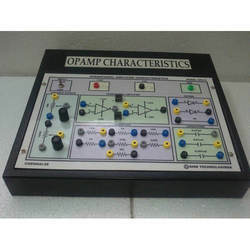 We present an impregnable range of Op Amp Devices. An operational amplifieris a complete high-gain voltage amplifier in a small package. Op-amps were initially designed and developed to perform mathematical operations in analog computers. These are now manufactured by using integrated circuit technology. Thus, these are offered in the typical multi-pin IC packages. We offer the entire range of products in line with the latest trends and standards set by the industry. Looking for OP AMP Devices ?